Hello, sorry I'm posting this a day late again! I ended up spending the day with a friend yesterday and didn't have a chance to write the post. Continuing from my last post, I have another new collection from Barry M to share with you! This is yet another brand new range called Molten Metals; a set of four metallic chrome effect shades. 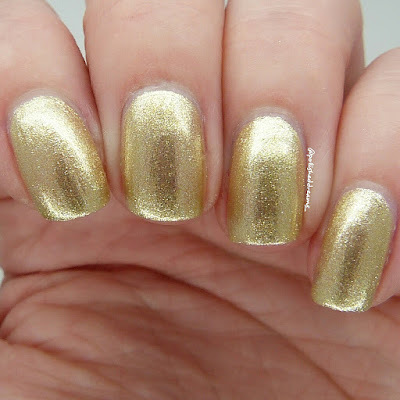 Gold Digger is a fab shimmery gold that was opaque in two coats. 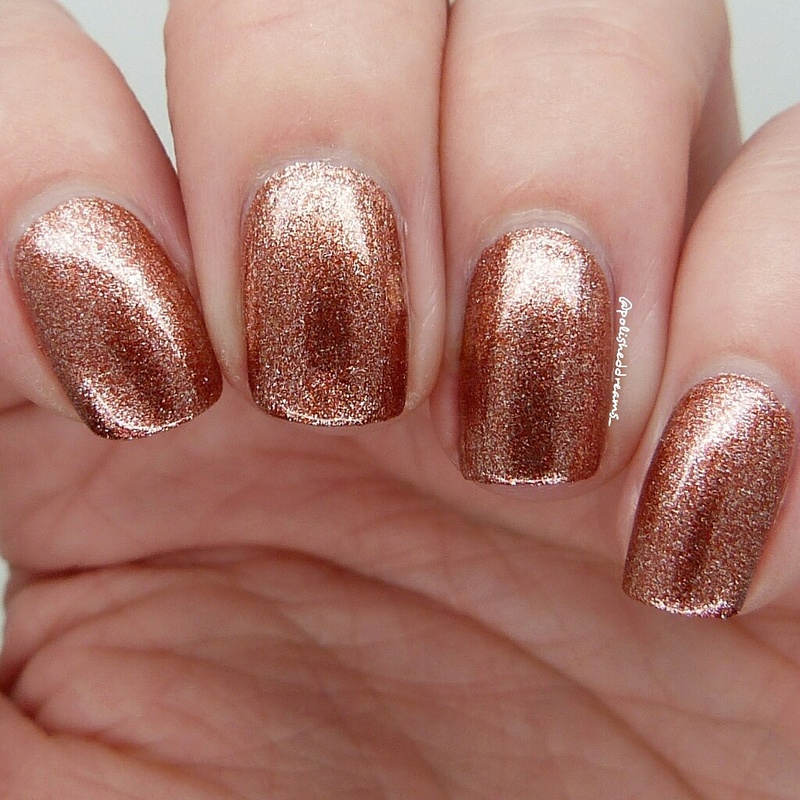 I also used a topcoat to see what effect it would have and to be honest, it didn't change the look of them all that much. 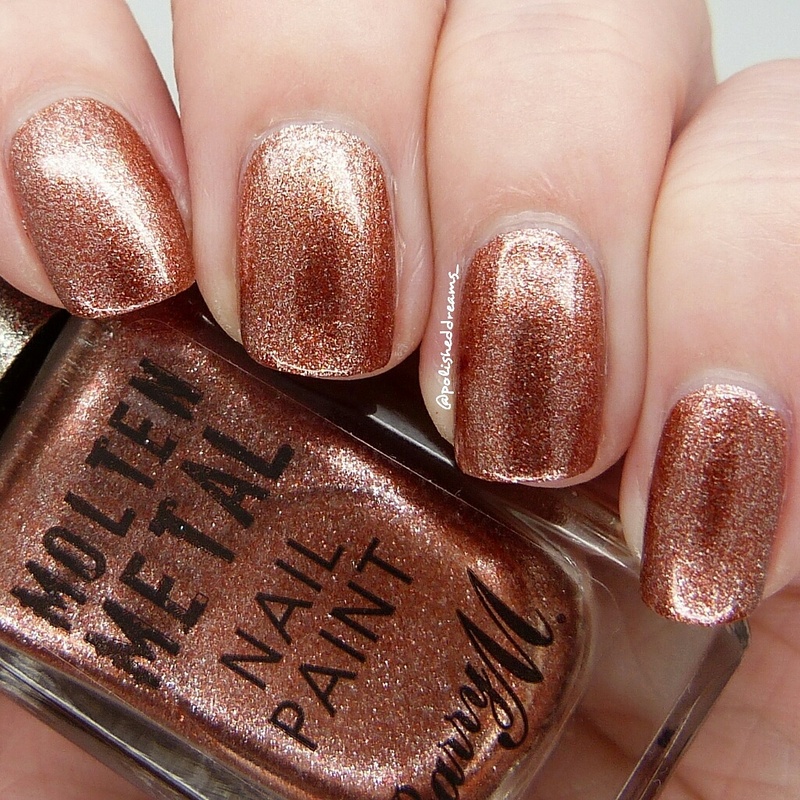 Copper Mine is my absolute favourite of the four, it's just such a gorgeous shade and so unlike anything in my collection. This was again two coats plus topcoat. 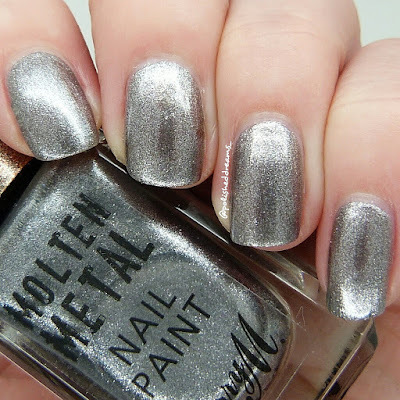 Silver Lining isn't quite as silver as I'd expected as it is quite dark but I do still like it! 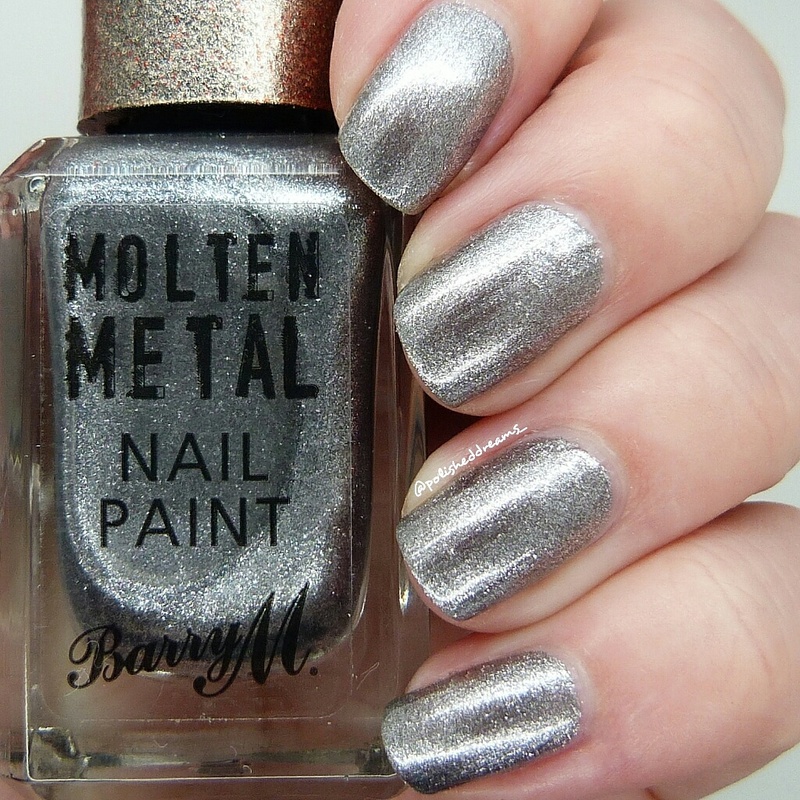 I've seen a few people describe it more as 'gunmetal' and I'd say that was a pretty apt description. This swatch was two coats and a topcoat. 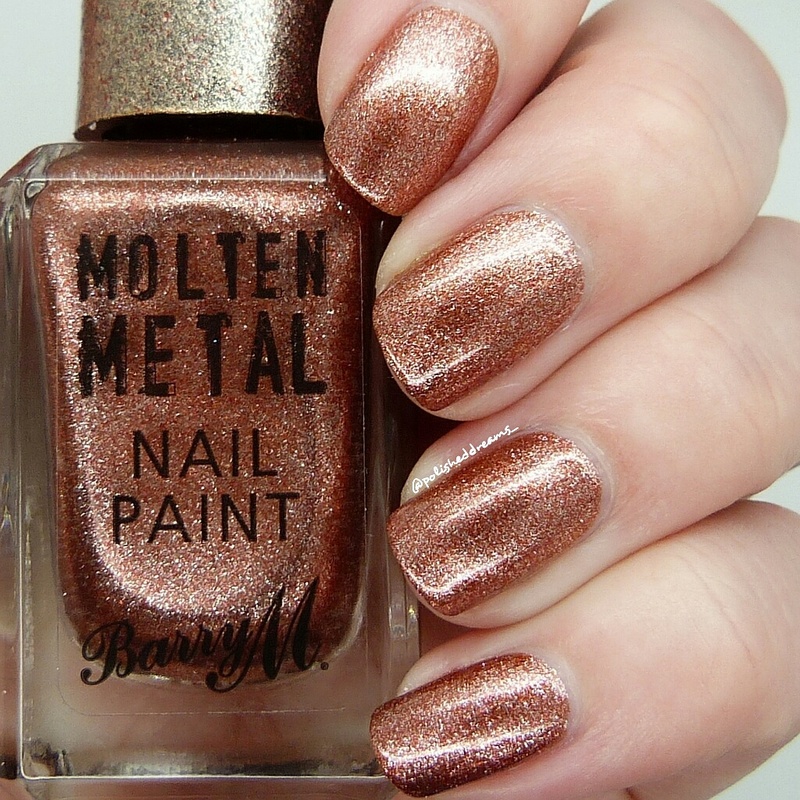 The last of the four polishes is Bronze Bae. Can we all just take a second to laugh at 'bae'? I'm pretty sure I've never used that term seriously haha! 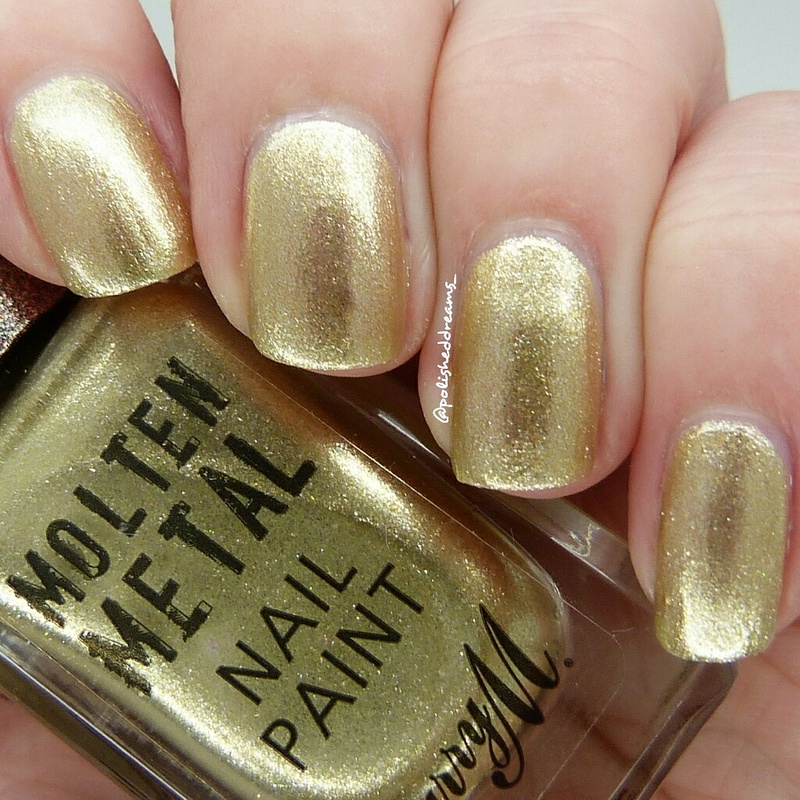 Apparently it means 'before anyone else' and whilst I'd never call a person it, I don't mind calling a polish it. Especially when it's pretty! 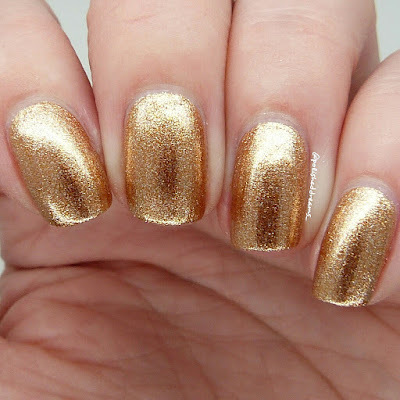 Two coats plus topcoat. 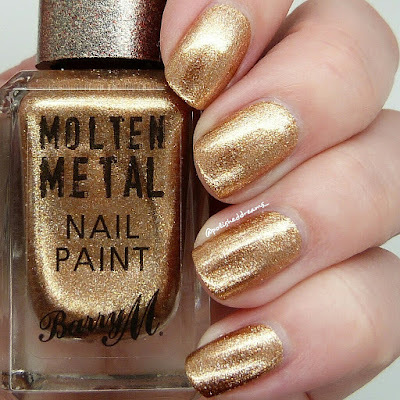 I'm so impressed with Barry M recently! 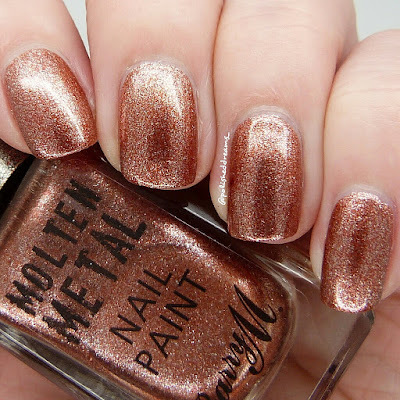 They're bringing out some brilliant collections with gorgeous shades and perfect formulas and the Molten Metals are definitely no exception. All of these polishes have tiny micro glitters in which makes them so sparkly and shimmery, especially in the sunlight. They're not really what I'd think are typical summer shades but they're still beautiful. 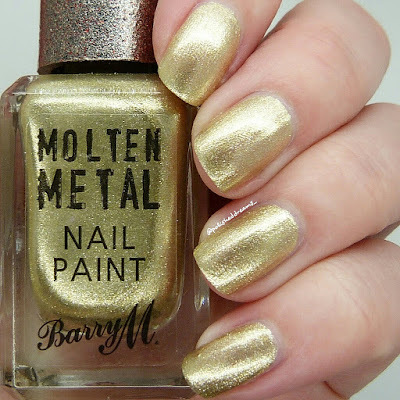 When these polishes were first announced/discovered by people in shops, one of the first things everyone wanted to know was whether or not they stamped so could replace the Barry M Foil polishes that are loved by so many. 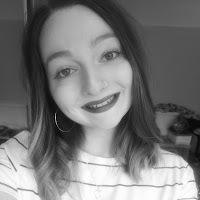 I tried all four over black and white as you can see below. 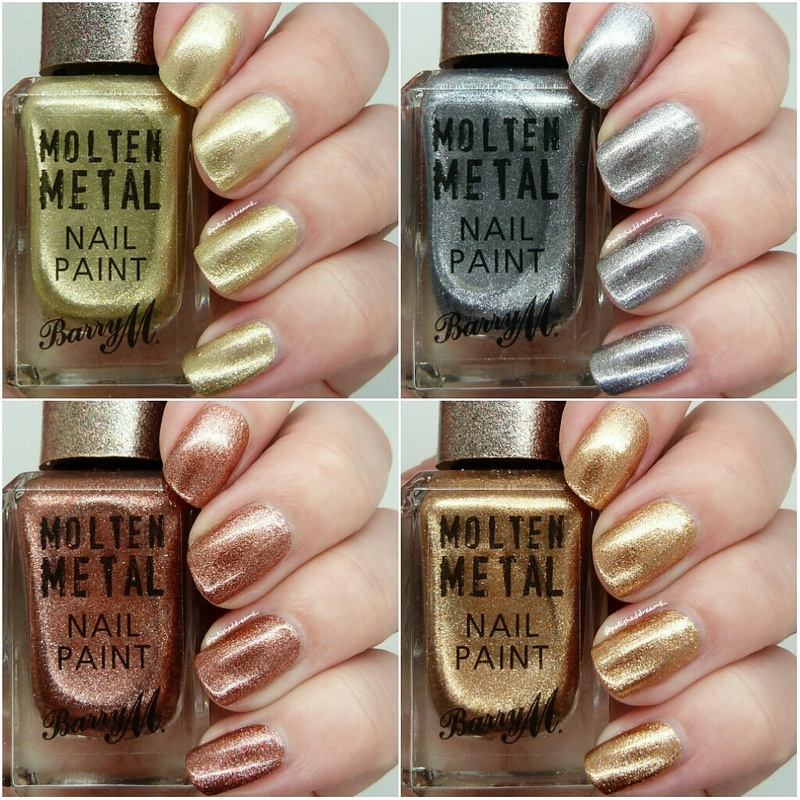 From top to bottom there is Bronze Bae, Silver Lining, Copper Mine and Gold Digger. Disappointingly they're not great, especially over the white polish. They look okay over the black but I think they're just too shimmery to be as good as the foils unfortunately. 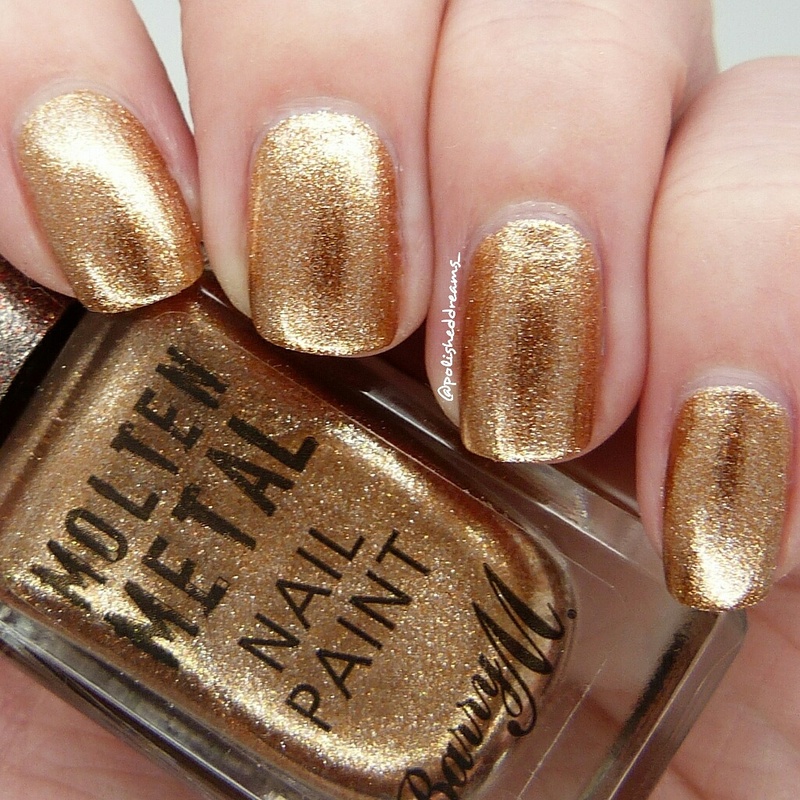 You can buy these from Superdrug now for £3.99 and they also have a buy one, get one half price offer so get in quick! 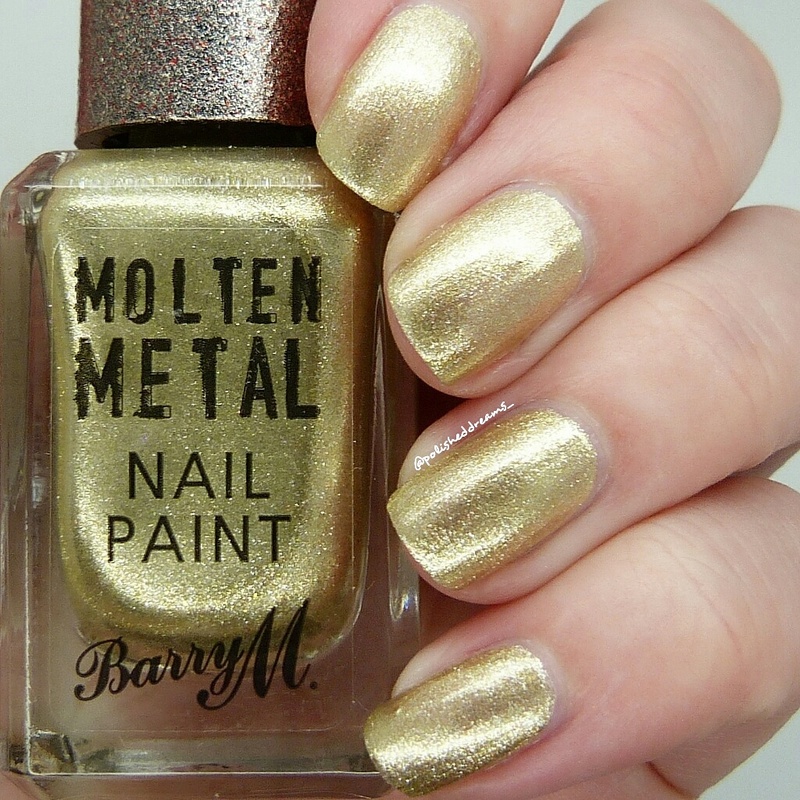 What do you think of Barry M and their new releases? Which is your favourite? Let me down below in the comments! 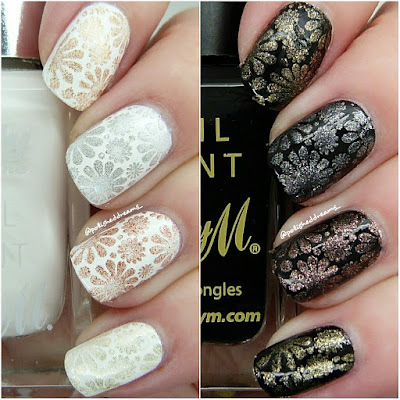 These are so pretty and your swatches are perfect. I love how different each of them looks. 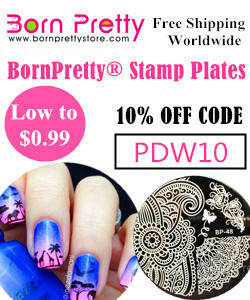 Shame they don't stamp but luckily there are lots of foils out there.